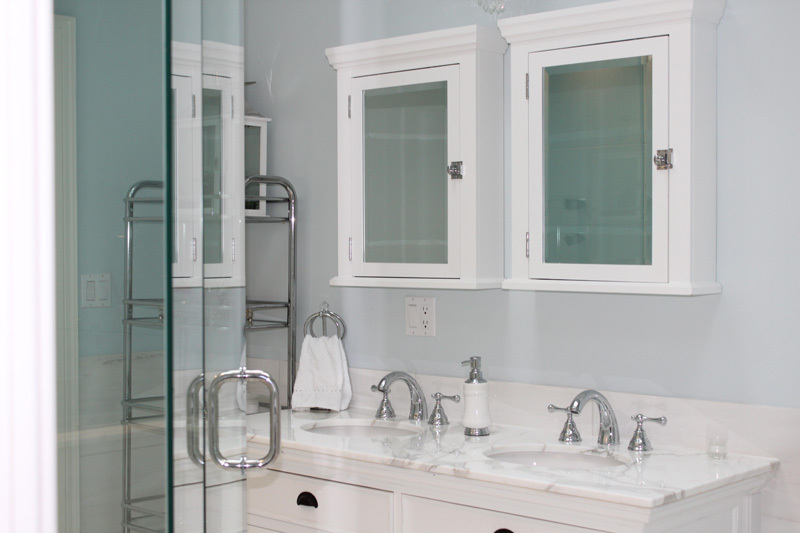 St. Clair Glass and Mirror | Quality Glass - St. Clair Glass & Mirror Corp.
St. Clair Glass & Mirror Corp.
We carry a large variety of glass products for your home or business. Welcome to St. Clair Glass and Mirror Corp. The understated beauty of glass will lend elegance to your home or commercial space, and mirrors carefully placed will open and brighten small urban enclosures. When you add any type of glass to your home, it adds a rich element to your environment. Old or damaged glass can take away from the overall look and feel of any home, office or business. We provide glass and mirror products that are unparalleled in quality. When it comes to providing solutions, we provide you with full-service, custom glass sales and installation. For your home or business, we offer every type of glass you need. From windows to mirrors, we’ve got it all. 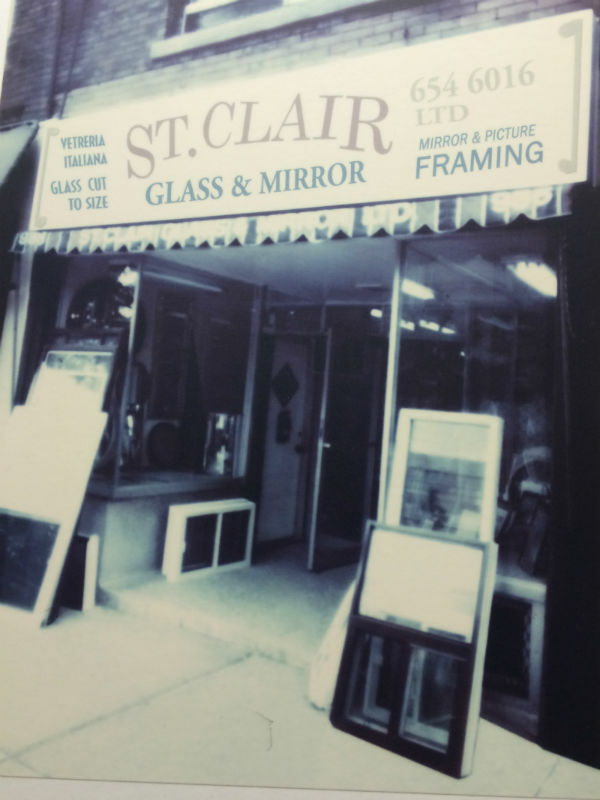 St. Clair Glass was established in 1965 on St. Clair Avenue in Toronto. We have been satisfying our customers with quality products since the beginning, giving us a reputation as a leader in the glass and mirror industry. With the ongoing support of local homeowners and businesses, we have been able to expand our business. In 1986 we moved our offices to a larger facility in Vaughan, Ontario – just a few minutes North of Toronto, allowing us to offer better quality glass products while still managing to keep the business family owned and operated. Today St. Clair Glass is a major leader in quality CNC glass, specialized glass products, shower glass doors and so much more. We manufacture all of our products in our facility which allows us to keep our costs low and maintain a very high level of service and quality. As technology evolves we at St. Clair Glass continue to educate ourselves in the latest methodology used in our industry to ensure that we remain a leader and a major player in the quality glass and mirror industry, not only in the Southern Ontario Area but in Canada as well as the US. Recently, we invested in new equipment which allows us to create a series of new products such as V Groove table tops, glass with etching, customized special glass shapes and much more. For a complete list of our products and to see a gallery of images please visit our products section. We value the relationships we build with our clients. With the understanding that we are approached with quality in mind, we strive to satisfy our customers. Designers and interior decorators have the rewarding task of bringing to life a creative vision developed through communication with clients. We at St. Clair Glass share this task, respecting the original vision. 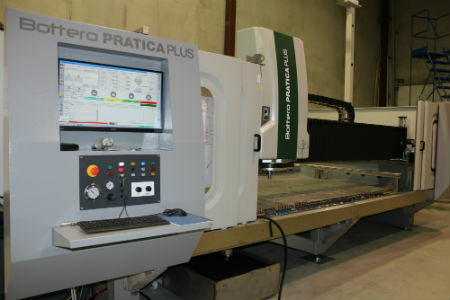 We work to ensure that the end result is as spectacular as the customer’s expectation. When people embark on custom renovations projects for their homes or commercial spaces it is the result of many months of planning and developing. 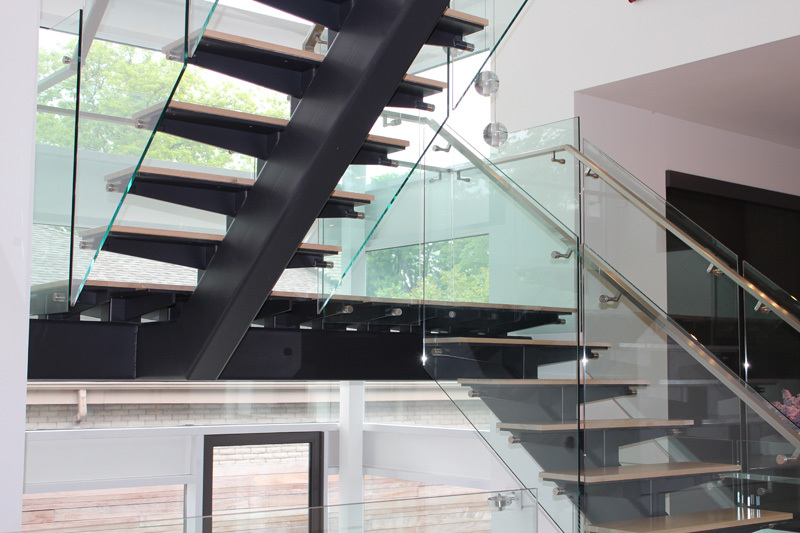 At St. Clair Glass we work with renovators to develop quality glass products to satisfy our customers’ needs. Our stunning glass shower enclosures are just one type of our most popular renovation product for the home. We welcome requests from contractors, construction companies, renovation experts, home builders, kitchen renovators and anyone looking to work with quality customized glass products in improving their home. The combination of wood and glass continues to grow in popularity as more and more people choose to combine woodworking skills with quality glass. This combination can be found all around the home in kitchen cabinets, display cabinets, enclosed bookshelves, and any other place where one wishes to display decorative or functional items and artifacts. At St Clair Glass, we work with our woodworking and millwork experts to help you achieve your vision. 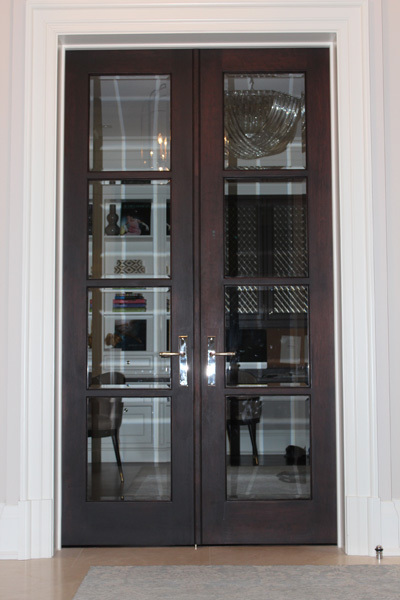 Customized doors feature strong quality glass often created with a purpose to showcase their beauty and strength. 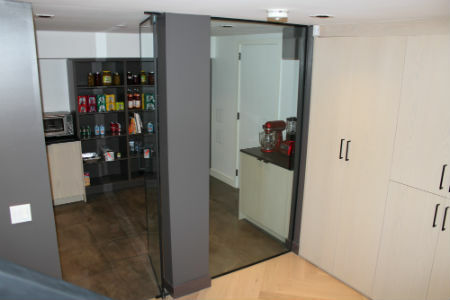 We work with door manufacturers that want to incorporate glass in their products. We are excited to showcase many different glass products like patterned glass, sandblasted glass, back-painted glass, partitions, vestibules, glass doors, walls and dividers, or even glass railings for both commercial and residential applications. Please feel free to browse our portfolio for many of the glass products that St. Clair Glass has to offer. We are proud to provide shower products for both commercial and residential settings. Frameless shower enclosures are both elegant and practical, making even the smallest bathroom feel spacious! We have designs that suit every space and preference. Please view our portfolio to see how we cater to the home and commercial space. Whether for your office or home, mirrors add elegance, making any space appear bigger. 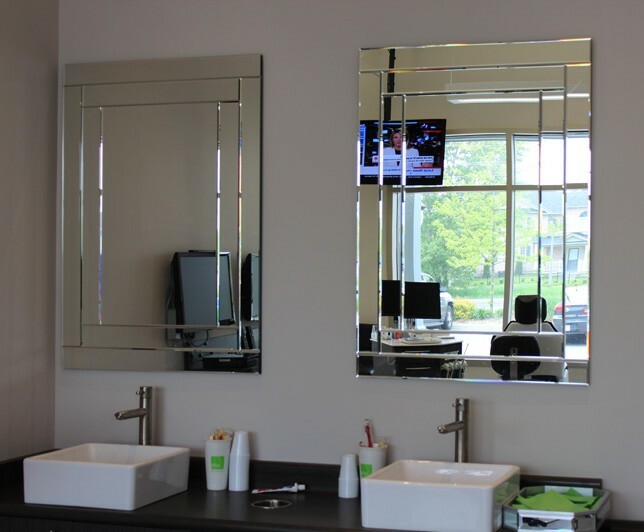 At St. Clair Glass we custom fit the right mirror for your environment. Please browse our portfolio for some of the mirror applications we have to offer. St. Clair Glass and Mirror Corp.